We understand that it can be difficult to find a trustworthy family dentist in Oak Lawn. If you want the best oral health care for your family, it is important to find an experienced and skilled Oak Lawn dentist that will help you create healthy smiles for everyone in your family. Forrest Tower, DDS and his dental team have years of experience improving the health and aesthetic value of their patients’ smiles. Their focus on patient care and commitment to continuing education ensure the best treatment possible for all members of your family. Early dental care is important in preventing significant oral health problems and ensuring that your child's teeth develop properly. At Dental Care Oak Lawn, we see children as young as three, and use a gentle approach to help our youngest patients stay relaxed throughout their visit. Visiting the dentist can cause anxiety for patients at every age, whether child or adult. While it is normal for children to fear unfamiliar environments, we combat dental fear by offering an introduction appointment for your child. This is an opportunity for them to have a fun ride in the dental chair, ask questions they may have about dentistry, and pick a special treasure from our prize box. This no-pressure appointment helps foster a positive relationship with the dentist and forms a foundation of trust for your child and the whole family. On subsequent dental visits parents are encouraged to stay with their child as this greatly alleviates stress on both the child and the adult. • Experience – Dr. Tower has over three decades of experience in treating children and adults. He is devoted to making sure his young patients are comfortable during their visit, and that adult patients can restore and maintain ideal dental health. • Technology – State-of-the-art dental technology helps Dr. Tower visualize areas of concern better and faster than older imaging techniques. This allows him to treat his patients less invasively. We use the latest digital x-ray technology and intra-oral cameras to diagnose conditions and develop treatment plans that meets each patient’s individual needs. • Education and Prevention - Routine dental visits are important to promoting a healthy smile, but your child will also need to care for their own teeth at home for overall, long- lasting oral health. 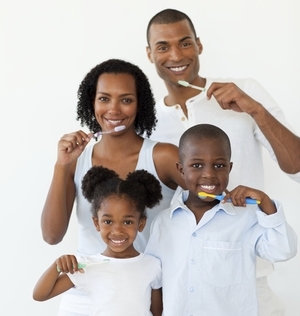 Dr. Tower takes the time to educate the entire family on the fundamentals of a good home oral care routine, including proper brushing techniques, the right diet, and the avoidance of sugary drinks and snacks. He will also digitally illustrate his patients’ x-rays and areas of concern. Our dental office uses educational videos to help their patients learn about appropriate dental care. If you are looking for a family dentist in Oak Lawn, contact Dr. Tower today. We’re here to make your whole family smile.